Spores ripen June-October. Evergreen. Native. 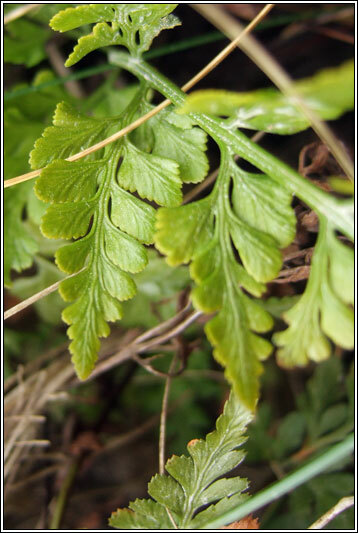 Fronds broadest at base, narrow-triangular, glossy, slightly leathery. 10-45cm. Twice or 3-pinnate. 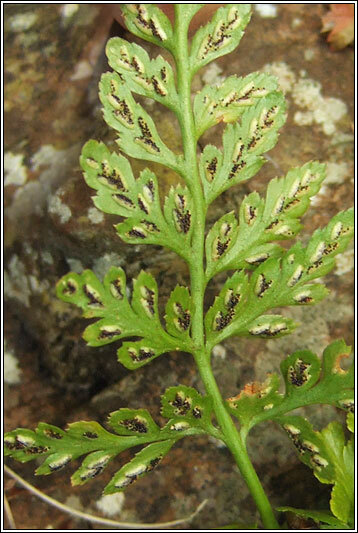 Segments oval or lanceolate, often toothed. Long narrow sori, near centre of segments, sometimes merging. Midribs have winged appearance. Brittle greenish/blackish stalks. Very variable, appearance can alter depending on habitat. Well-drained, lightly shaded walls, banks, cliffs. 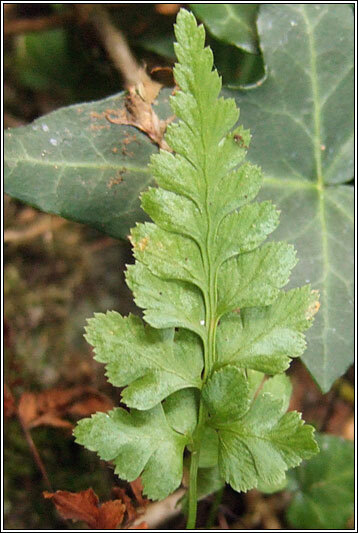 Irish Spleenwort, A. onopteris. 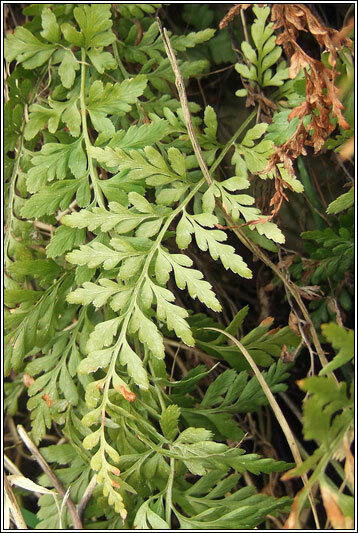 Very rare, mainly SW. Fronds tripinnate, very finely dissected. Narrow segments, long, sharp tips. Lanceolate Spleenwort, A. obvatum. 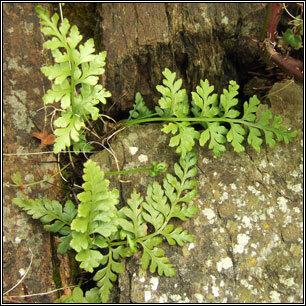 Very rare, often coastal, mainly SW. Fronds ovate-lanceolate, narrowed at base.